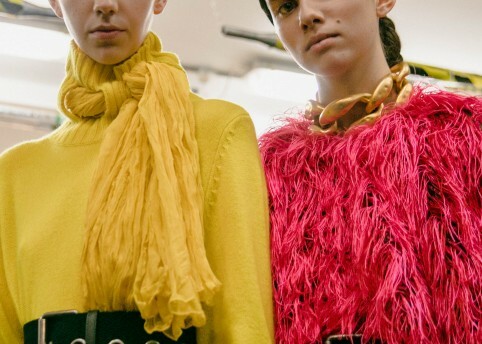 “Softness is power – we don’t need to dress like men,” read the show notes for Yuhan Wang’s second collection on the Fashion East platform. 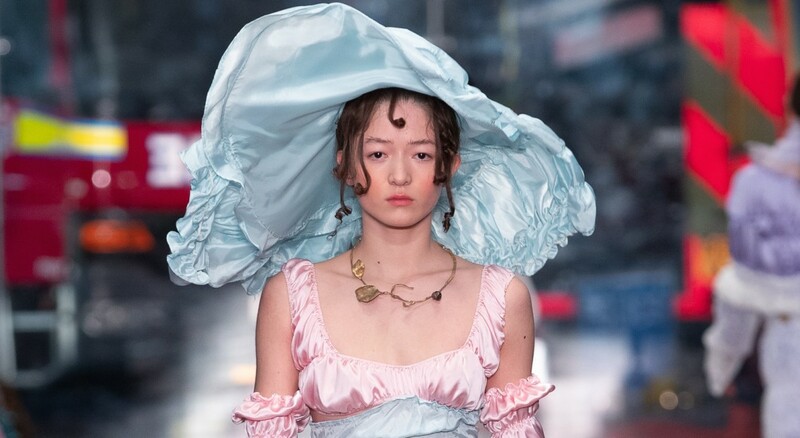 Having grown up in Weihai before coming to study at Central Saint Martins, Wang deftly weaves traditional Chinese ideas of femininity with Western codes, evidenced in a collection dotted with floral references to Victoriana. 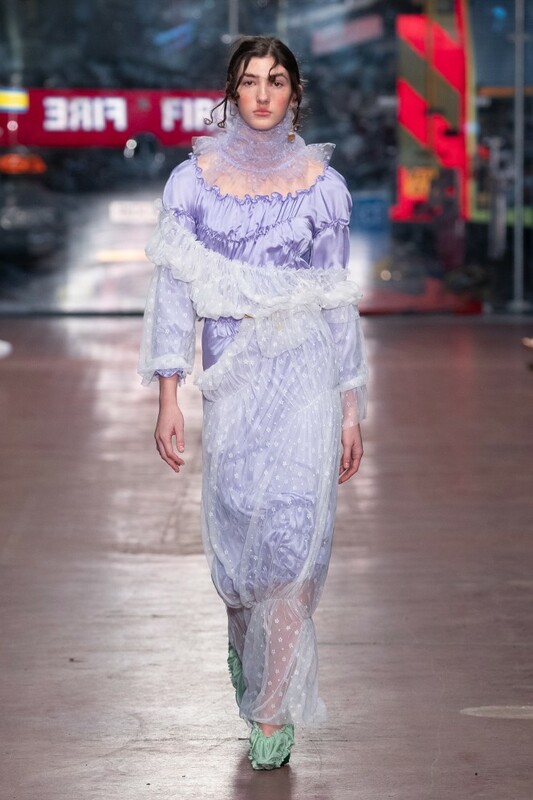 The first dress, a lavender silk-satin concoction spliced with floral-embroidered tulle and ruffle-neck collar, set the tone of heady romanticism, but as the collection unfolded, cut-outs and slashed florals gave bite to prettiness. 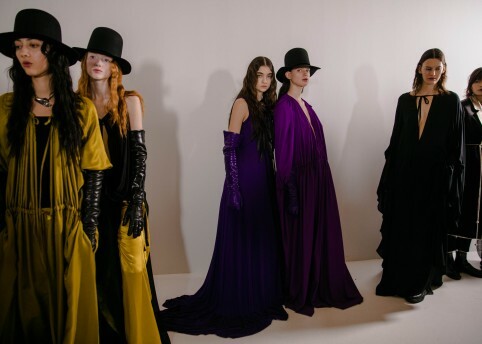 Looks were accented with bonnet-style hats and silk-satin evening gloves, giving the collection a whimsical air, whilst artfully-placed ruching modernised the silhouette, adding extra proportion and tension. “I think of it as the push and pull we experience as women. The constant dialogue between our inner and outer worlds,” wrote Wang.